POP CULTURE IS LITTERED WITH STORIES OF MALICIOUS COMPUTERS THAT ARE OUT TO HARM HUMANITY. 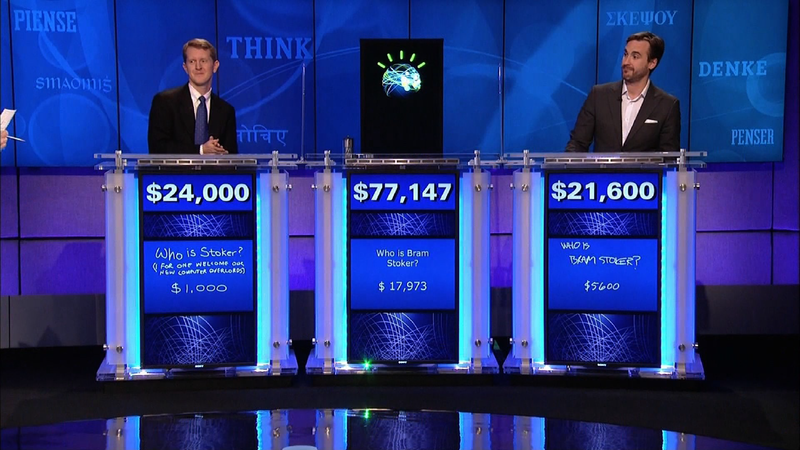 SO, WHEN IBM WENT TO PIT THEIR SUPERCOMPUTER WATSON AGAINST THE BEST TRIVIA PLAYERS IN THE WORLD THEY KNEW THEY HAD A PROBLEM. HOW DO YOU MAKE AN ARTIFICIAL INTELLIGENCE RELATABLE? YOU GIVE IT A FACE. 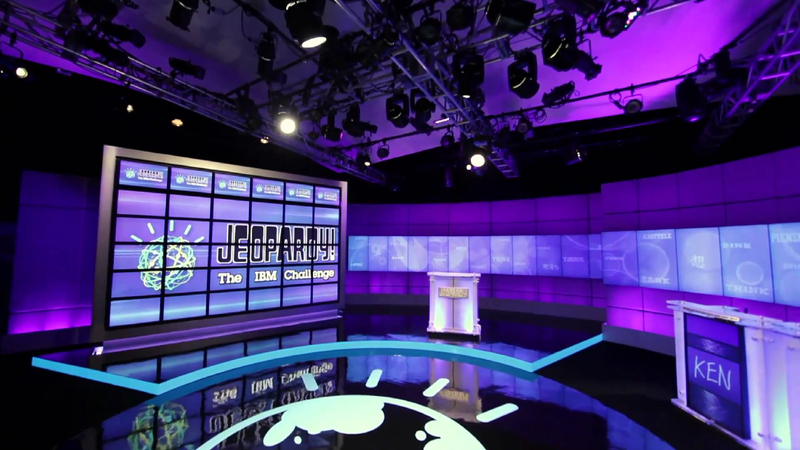 Watson and the trivia elite were to compete on the game show Jeopardy! and Watson needed to fit behind a podium like every other competitor. Not an easy task when your “body” is ten refrigerator sized black boxes. So, Automata worked with IBM and designer Joshua Davis to create a real-time avatar that would convert hard data into emotion by using color, lighting, and animation. Riffing on IBMs "Smarter Planet" logo, Automata created a system of 42 orbiting threads that change their appearance and behavior based on a real-time feed of what Watson was "thinking". For example, if Watson is "excited" to chime in because it knows the answer, the threads may turn bright colors and move frenetically around the globe. However, if Watson gets the answer incorrect the threads may become sluggish, darken, and orbit near the bottom of the globe for a time as it sulks.